The Cox Mill Warriors repeated as state champions last season, riding the talents of Wendell Moore and departing senior Rechon Black to a dominant 29-3 showing. Moore returns to another loaded lineup that will be favorites to three-peat in 3A. The Chargers will look to continue their 18-game conference winning streak, and they’ll test themselves against some national competition. Head coach Jody Barbee always has his squads playing elite defense, and the same can be expected from his 2018-19 bunch. Moore is an absolute beast locally, putting together one of the best career resumes in. North Carolina high school basketball history. The 6-foot-5 do-it-all Senior committed to Duke in mid-October, eliminating any nerves that come while playing as an uncommitted recruit. Moore was a second-team All-EYBL selection for Team CP3 this past spring and summer, averaging 17.7 points and 6.5 rebounds per game. Moore will be looking to parlay his EYBL success into a McDonald’s All American and Jordan Brand Classic nomination. Moore is the best player in the state of North Carolina, and his presence on the floor puts them amongst the nations elite teams. Moore averaged 25.3 points, 7.3 rebounds, and 2.9 assists in 32 games as a junior, and we have every season to believe that he’ll build on each statistical category. 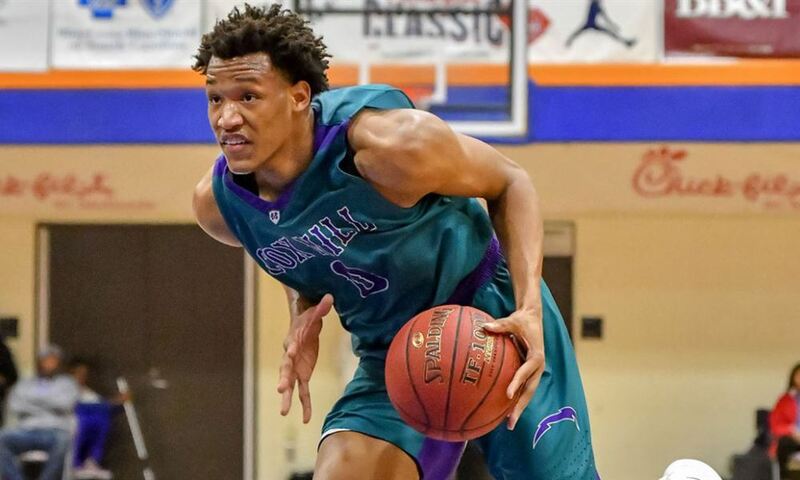 Read: Dear Senior Year: Wendell Moore Jr.
Two of the Chargers’ three losses in 2017-18 came to out-of-state competition, and they were by a total of seven combined points. The point is - Cox Mill is a regional powerhouse with the potential of being a top 25 team in the country. With Moore leading the charge, a third straight State Championship will be their meter of success. They will need to develop roles early on, but it’s unlikely they slip against local competition. If you’re a Duke fan, watching Moore will put a smile on your face. The best part is? He’s right in your backyard.